A Delegation from the Ministry of Infrastructure of Rwanda, visited the Kamembe Airport, last week, to see the progress concerning the works. The delegation included Hon Alexis Nzahabwanimana , the Minister of State in Charge of Transport. This letter has said, that the works on the runway will be completed in June 2015, instead of March 2015. According to the Minister, these works are necessary. RwandAir, which operates a daily service, has complained several times, about the poor state of the runway. Some passengers have even expressed their fear, when they fly to or from Kamembe. 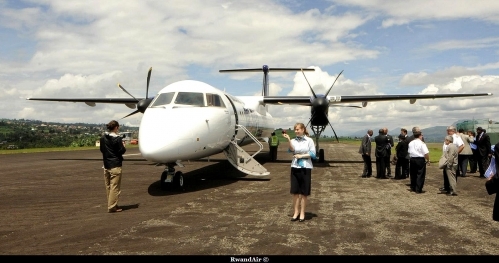 For RwandAir, it wasn't possible to continue operations, in safe conditions. 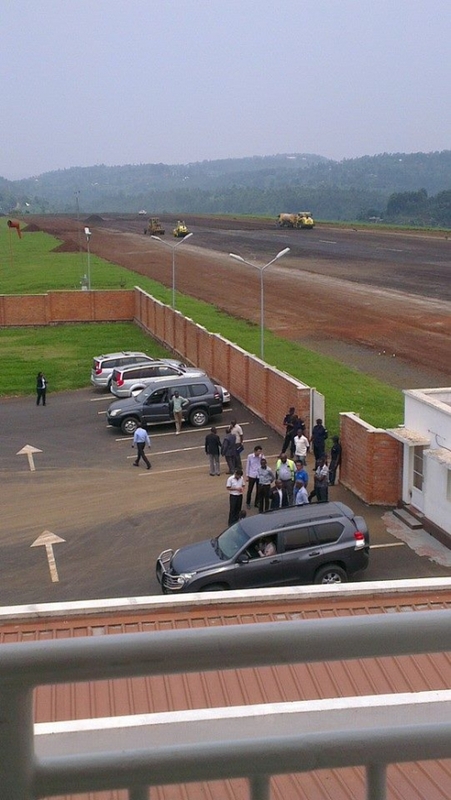 The renovations are set to help decongest the facility and accommodate big aircrafts, according to The Rwanda Civil Aviation Authority (RCAA) communications manager, Tony Barigye. Kamembe is both used by people living or working in the Kamembe region or in the South Kivu (DRC), but also by tourists visiting Nyungwe Forest. 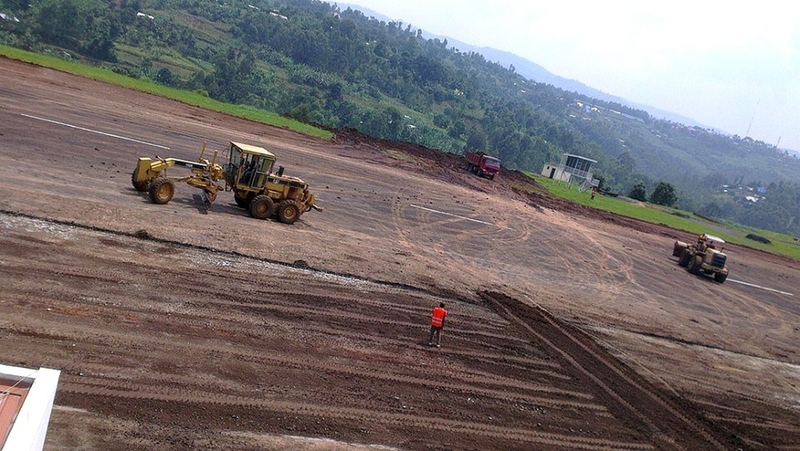 Refurbishment works at the airport will include extension of the current airport runway from 1.5 km to 2.2 km. The runway will also be resurfaced, while the taxiway, airfield marking and apron will be upgraded. This will enable the airport handle larger aircrafts. Extension of the runway is also important to decongesting the facility. Officials have also expressed optimism that refurbishment of Kamembe Airport will boost tourism, enhance safety of travelers and ease inland travel operations. Refurbishment of the airport will boost tourism by making tourist sites easily accessible, according to Barigye. He added, “Also, as a landlocked country with ever improving economy, it is only right that the country transforms air transport to facilitate growth.” The contract to refurbish the airport has been awarded to China Road and Bridge Corporation Company, and it will take six months to undertake the work. While RwandAir will take delivery of its Q400NG, on 24 february 2014, the Rwanda Civil Aviation Authority has published a tender to improve the Kamembe apron and Runway.With all upgrades, the airport will be able to handle flights during the night. Kamembe serves both Kamembe and Cynagugu (70 000 habitants), a famous tourism place, the Nyungwe Forest in Rwanda and Bukavu in Democratic Republic of Congo (800 000 habitants). Rwanda Civil Aviation Authority (RCAA) now solicits proposals to provide the following consulting services: Consultancy services for supervision of Resurfacing of Aircraft Movement Area at Kamembe International Airport. More details on the services are provided in the Terms of Reference. The Request for Proposal (RFP) is open to all interested international consulting firms, fulfilling the requirements as stated in the RFP. A Consultant will be selected under a quality cost based selection (QCBS) and procedures described in this RFP, in accordance with the Law on Rwanda Public Procurement. Tender Documents in ENGLISH may be obtained by interested candidates from Kigali International Airport (RCAA offices) upon presentation of the proof of payment of a non-refundable fee of one hundred USD (100); to be deposited at Bank of Kigali on the Account No 6015823-13 US $, SWIFT Code: BKIGRWRW open in the name of Rwanda Civil Aviation Authority; with effect from 31st December 2013. Tender Documents may be obtained on any working day from 8:00 AM to 4:00 PM except on “Fridays” in afternoon. 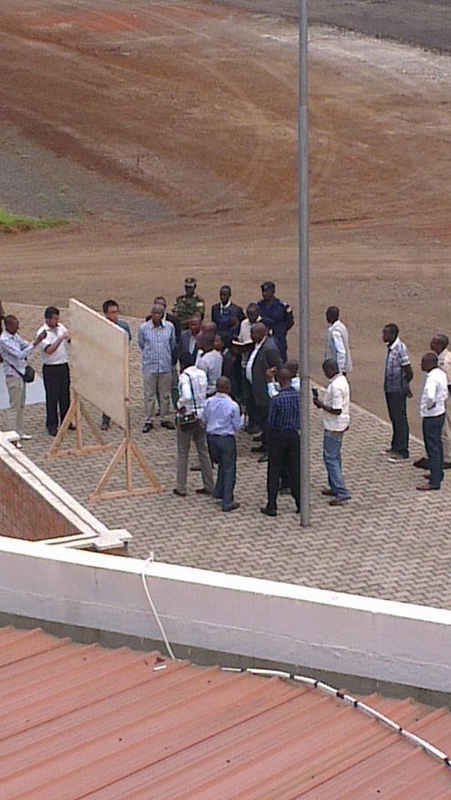 Tender documents may also be consulted via our website: www.caa.gov.rw . A compulsory site visit will be conducted by RCAA Representatives on 16th January 2014 at 9:00 Am local time (7:00 GMT) at Kamembe International Airport. All bids shall be accompanied by a Bid Security of US $ 10,000. Well printed bids, properly bound and presented in four copies one of which is the original must reach RCAA Information desk at the address mentioned above Not later than 26th February 2014 at 10:00 Am local time (8:00 GMT). Late bids will be rejected. Bids will be opened in the presence of bidders or their representatives who choose to attend in RCAA’s Conference Room on the same day at 10:30 am local time or 8:30 GMT. The Outer envelope should clearly indicate the tender title and number.